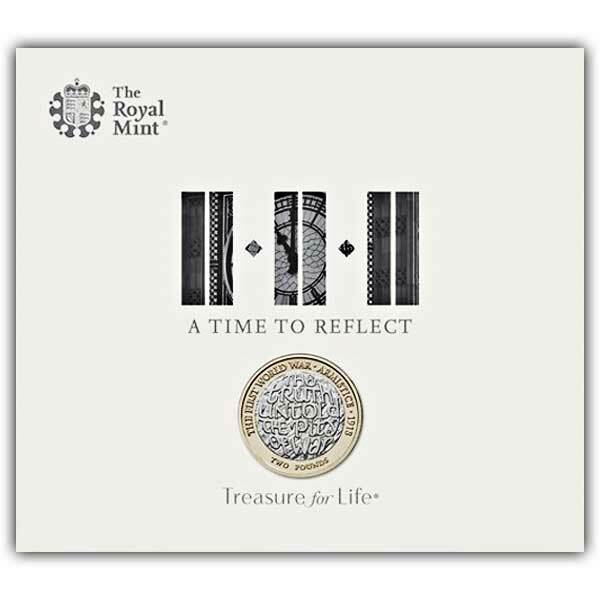 This official UK £2 coin, is part of the final year of commemoration in the five year series produced by the Royal Mint, designed by Stephen Raw and inspired by Wilfred Owen, the famous war poet, who died in the conflict. This Brilliant Uncirculated edition is presented in a display folder that is filled with imagery and information that was sourced with the help of Imperial War Museums. 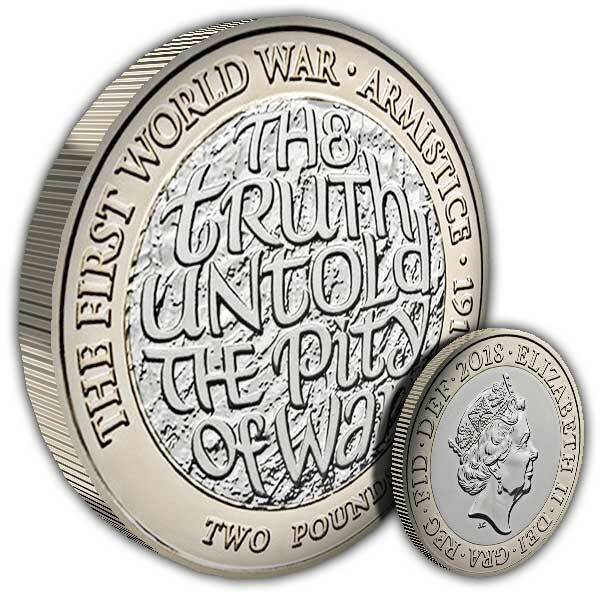 A century after the Armistice was signed, bringing five years of terrible conflict to an end, The Royal Mint has struck a £2 coin as a tribute to the end of war. Every year we remember the fallen, a tradition that began just after the First World War, but this centenary, so much more than a moment in history, calls for a lasting tribute to those who paid the ultimate sacrifice.